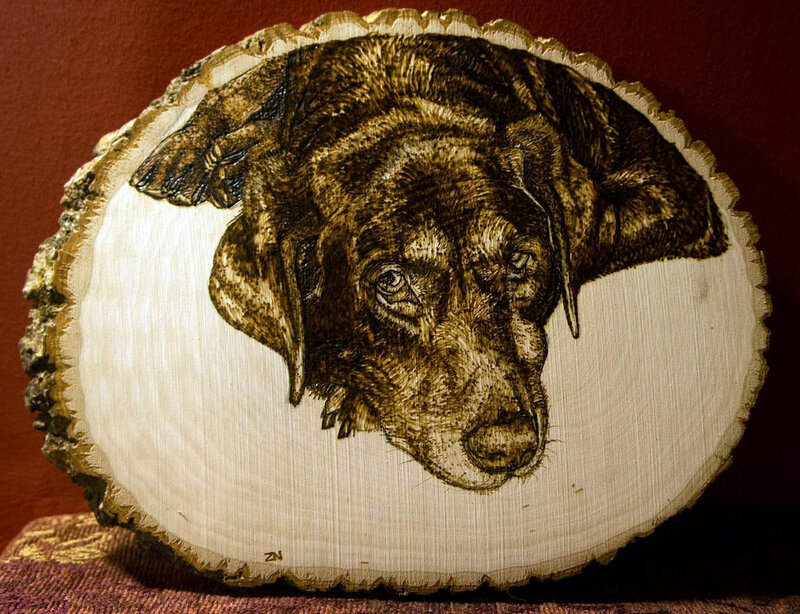 Hand drawn pyrography. 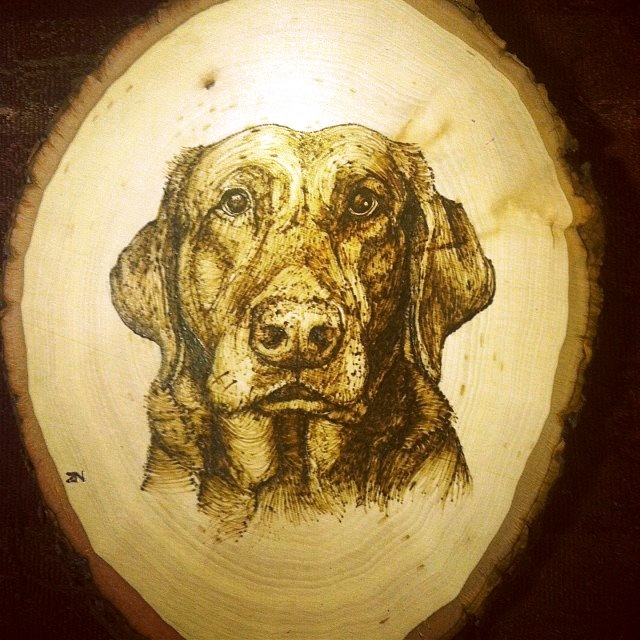 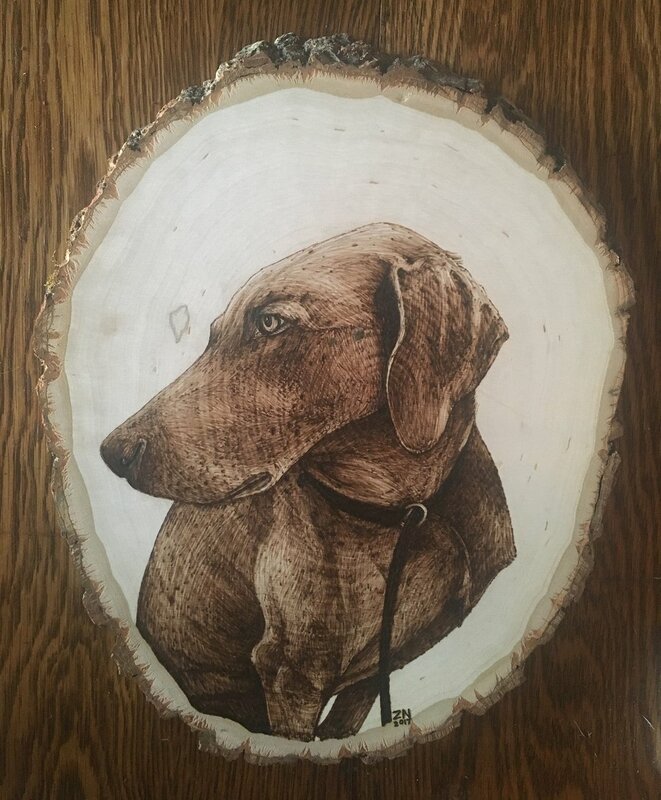 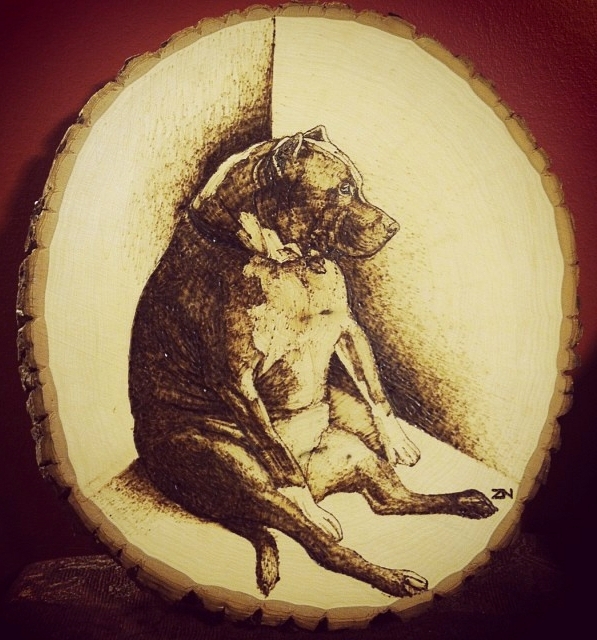 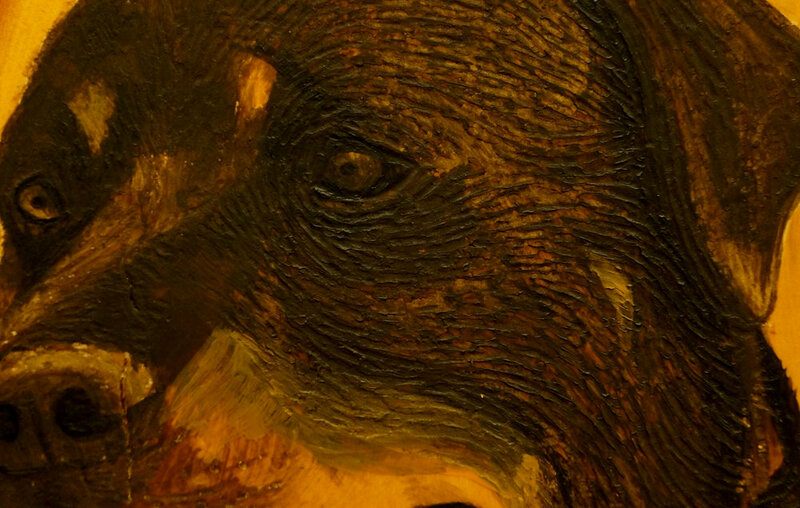 Wood burned portraits of animals, people, houses, and more by Zachary Nolin. 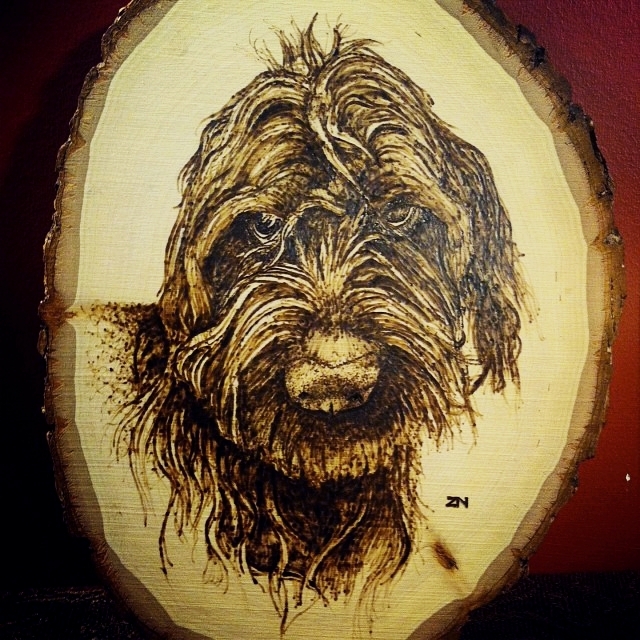 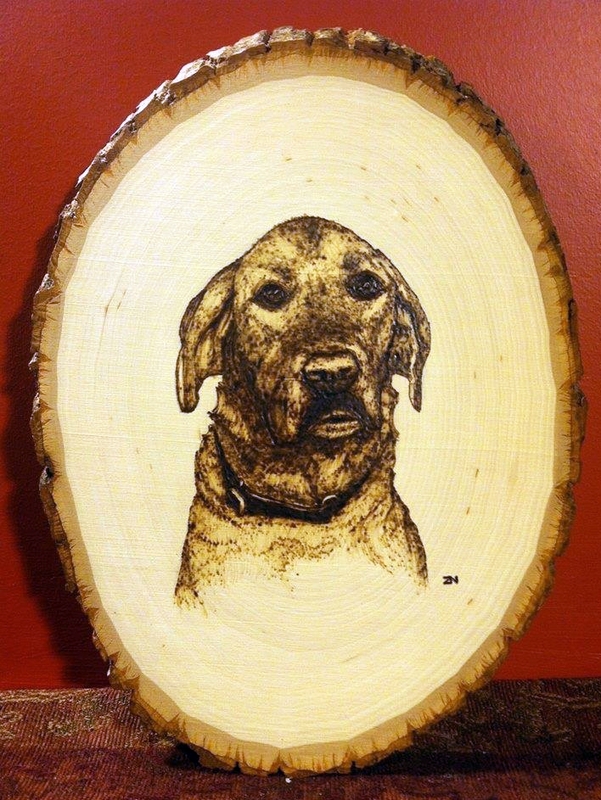 Contact Zach to order your own custom wood burned portrait. 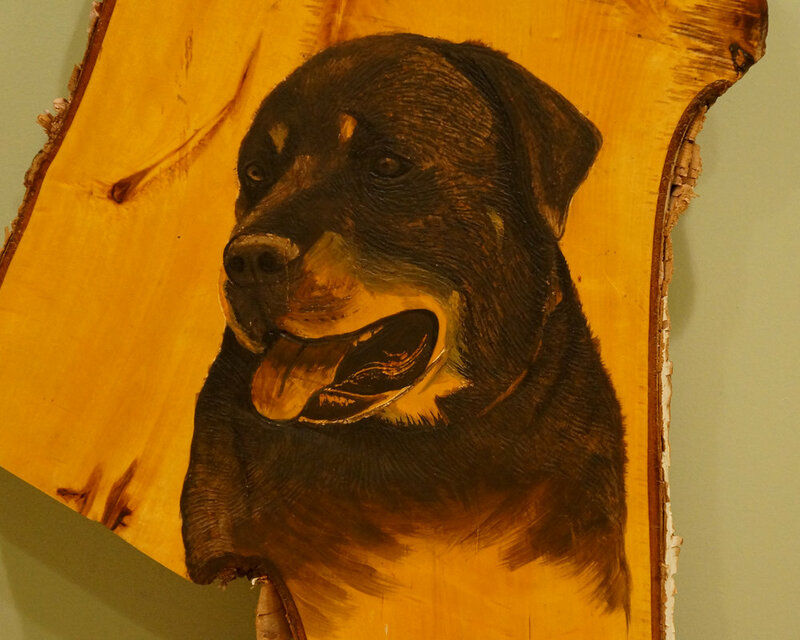 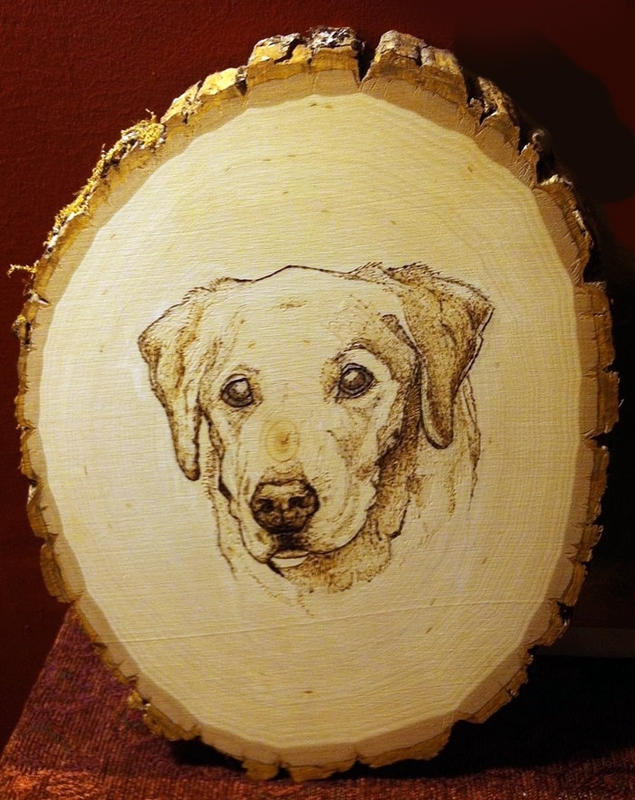 If you have a piece of your own wood that you are interested in having wood burned, send Zach an Email describing the piece of wood in detail and the subjects you want added.